I’ve always harbored a certain disdain for articles that begin with a dictionary definition. But when I was asked to write about a masterpiece in a New York collection, I found myself running home like a scared rabbit to consult my tattered old Webster’s. It said something about a work of great mastery, or the single greatest work of an artist. We all have come to think of a masterpiece in this way. But I was vaguely dissatisfied, because for years I’ve heard, albeit second- or third-hand, that the term had to do with the guild system in old Europe. Although the criteria for defining a masterpiece were, for the purposes of this article, entirely up to me, I still couldn’t reconcile these disparate meanings of the word. Unable to decide what a masterpiece was, I was completely at a loss to choose one to write about. Besides, it was summertime. I had no air conditioning; my finances were shaky; and I was in a funk. And so I put off writing even as much as one word, and was on the verge of asking whether I might bow out of the assignment altogether, when suddenly and inexplicably, deliverance swooped in to save me. But more on that in a moment. Rembrandt, Self-Portrait, 1660. Oil on canvas, 31⅝ x 26½ in. The Metropolitan Museum of Art, New York, Bequest of Benjamin Altman, 1913. The first works from New York collections that came to mind were Rembrandt’s Self-Portrait (1660) at the Metropolitan Museum and Edward Hopper’s Early Sunday Morning at the Whitney. 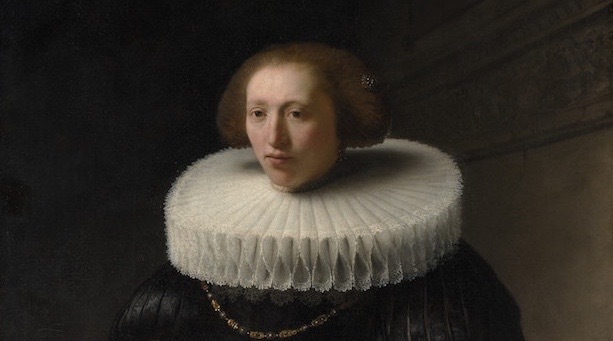 But really, how is one to decide on which of Rembrandt’s paintings is a masterpiece? 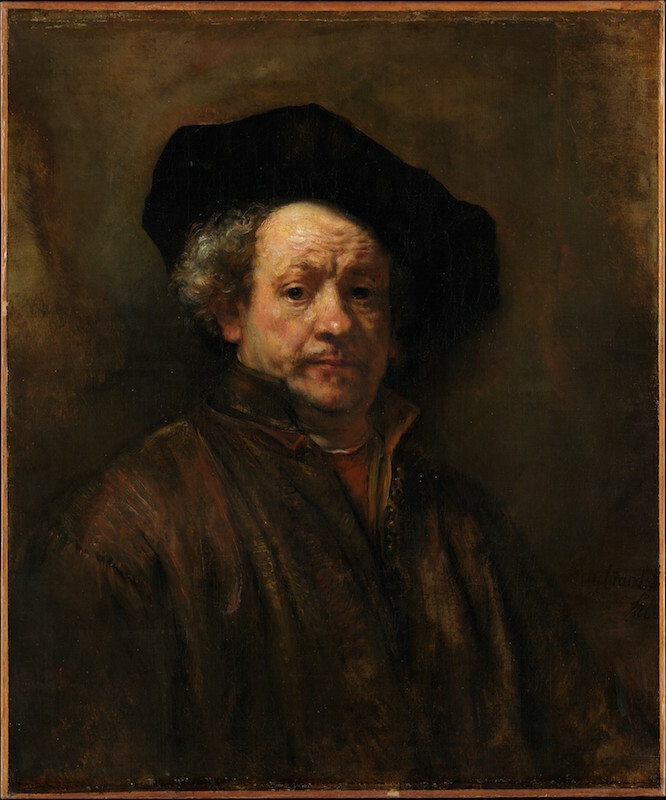 It seems to me that in the Met alone there are four or five Rembrandts of equal greatness. 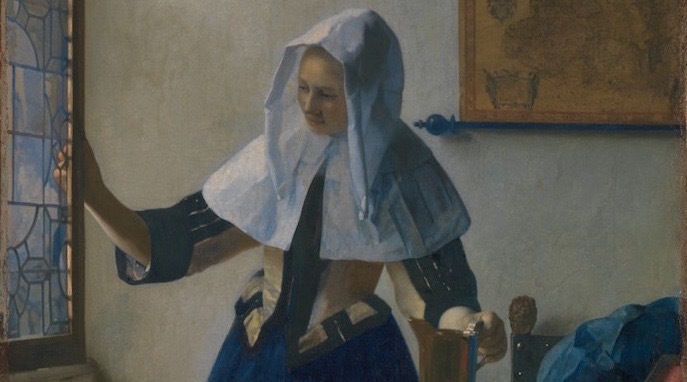 Is there a single masterpiece by Ingres, Degas, Constable, Monet, or Whistler? 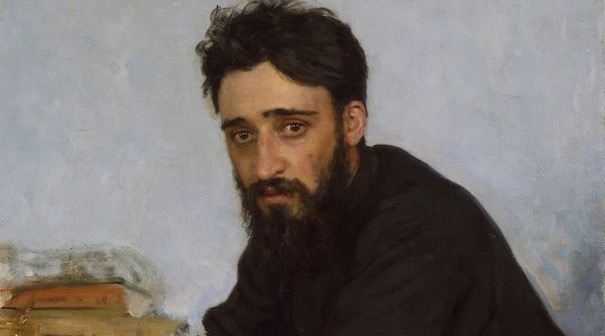 Can modern work be assessed in the same way as the Old Masters? Can we put a Brillo box next to a Vermeer and compare them with a straight face? And after all, who am I, a stoop-ball-playing lad from Long Island, to presume to make anachronistic pronouncements on the history of art? And so it was, as I lay abed in utter fatigue on a hundred-degree afternoon, that my dull gaze happened to fall upon a long-forgotten volume at the bottom of my bookshelf, titled The Encyclopedia of the Arts. This thick, musty tome, published in 1946 and inscribed on the inside cover with the name of my ex-girlfriend’s maternal grandmother, contained a fairly sizable entry on the term by a certain “C.T.,” who turned out to be Carl Thurston of Pasadena. A masterpiece, he says, is “a term which can be traced back to the medieval custom of requiring a craftsman who applied to his guild for the title of ‘master’ to present a specific piece of work as evidence of his skill. The word was later applied to anything that seemed worthy of a master-craftsman.” Still later, due to increasing competition among workmen, “the term was reserved for the finest item in any given group, instead of being used merely to indicate the attainment of a certain level of excellence.” He cited the Sistine Madonna as Raphael’s masterpiece. The word then evolved to reflect the overall scope or underlying principle of the work being considered. Thurston sees a tendency at this point to apply the term “great masterpieces” to various lists of fine works, ranging from art and architecture to literature and music. “It was beyond human power to select a single unquestioned masterpiece from such vast fields,” he says, noting that the word’s users tended to avoid controversies sure to arise from its too specific application. “‘Great’ involves innumerable problems of absolute aesthetic value, or lends coloring and rhetorical force to a sentence.” The learned and amusing Mr. Thurston concludes that, as of 1946, ‘masterpiece’ “is still a permissible word, and even a respectable one, but under the pressure of the exacting modern standards for the study of art it is losing a little of its former glamour.” And so thank you, C.T., for letting me off the hook. With the weight of all this hanging over me, no wonder I couldn’t get very far in choosing a single masterpiece to write about. This article appeared in the Winter 2003 print issue of LINEA.